A Yorkshire Dales special Sheep Bow Tie! The background is a lovely soft stone wall grey 100% cotton, with a beautiful print of white sheep with little black faces! 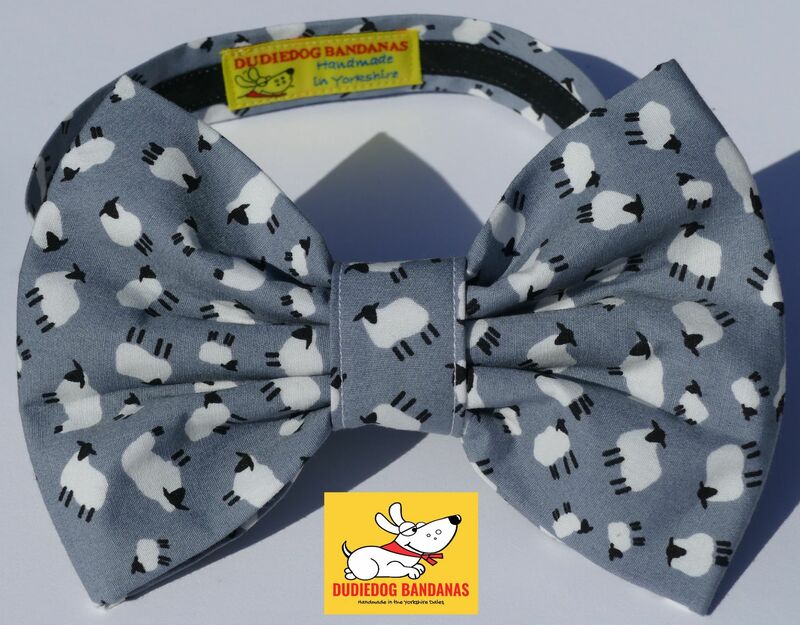 Perfect for the dog in your life, particularly if he/she is a sheepdog! 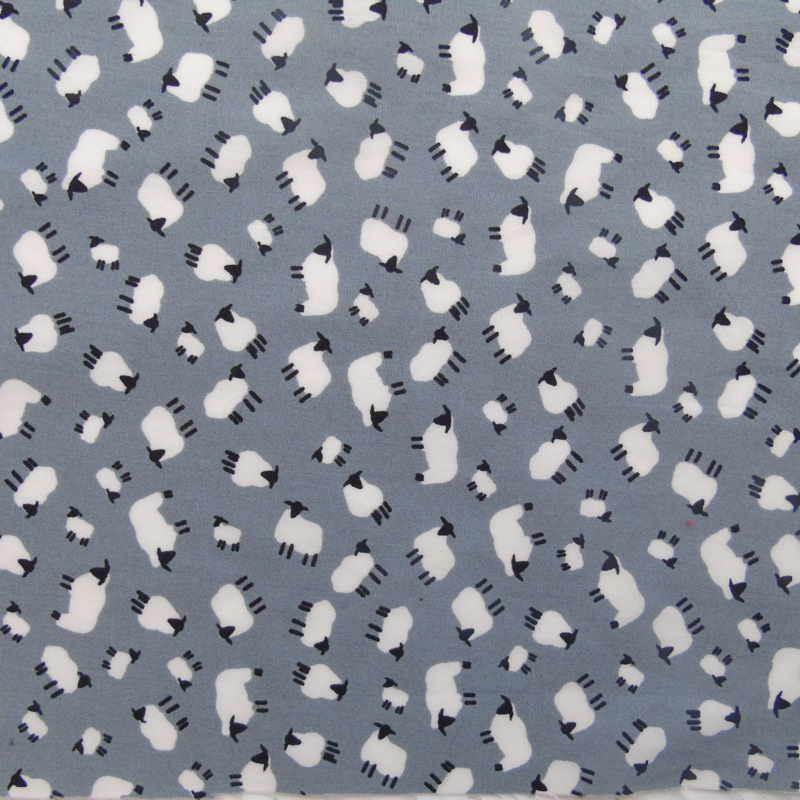 This print is our Border Collie, Skye Blue's favourite!